“A Picture Paints Thousands of Words”, this one-liner fits perfectly well with web designing and is absolutely true and a definite stratagem to work on. And this might be the reason why millions of business owners out there are more focused on their web appearance. Technically, website these days alone is not everything neither it’s restricted to just the beautification or appearance of the layout. There are various hidden factors that make a winning website. Customer these days are more advanced than there was half decade back. Now web experience is more about flexibility, user-friendliness, navigation, as well as technical attributes where the beauty of the website is just an important part, not everything. So, as a website owner or the online business operator, you must be aware of a few important factors related to web design services and how the simple idea of web design or re-design can increase your conversion. Yes, web design does relate to your sales conversion. The more user-friendly website you will have, the more visitors will visit your web page and your services will be accessible to your Targeted Group. 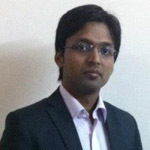 So before you underestimate the power of web designing, do read this blog. Hopefully, by the end of this post, your perception will change or will have some positive impact on you. As discussed above, web designing these days is more than just pleasant appearance. This is more about a business generating machine which increases conversion, converting traffic into lead form submissions, phone calls, physical location visits, contact form submissions and sales and much more other technical things. 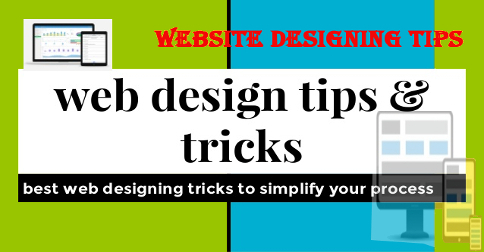 And this is where you need proper web design tips to increase your conversion. If your website is unable to complete these actions in a quick and appropriate manner, you won’t be able to earn desired revenue. Pick a simple layout over a too fancy one: For an easy working website, you need to pick a very simple layout with less animation and flash as it needs a highly technical team and many more efforts. Use a clean and simple website design which is sophisticated and easy to use at the same time. Instead of visuals, impress your customers with content and offers. Bombarding customers with unnecessary flash and animation will annoy your customers. Don’t use stock photos: Free stock photos are good for a few purposes, like for your blog posts, presentation etc., but not when it comes to using them for your website, please ignore them as they are very heavy in size and may lead to hanging, slow-down and virus issues in future. Navigation Should Be Simple: Being a business, you know your visitors better. Customers should find what they are looking for within 1.5 or max 2 seconds. Since computer-savvy individuals are too short on patience, they won’t like to visit a website which is slow to load. So keep the navigation menu of your website as simple as it can. Whatever action you want your customers to take, keep a clear and easy navigation path. Whether it is a submission form or any specific page, it should be well navigated. Easy, Simple and Accurate Contact Details: There is nothing to be too innovative with your contact details as this is the only part that actually leads to conversion. For an instance, if a customer visits your website where he is interested in buying or getting assistance through your website, it must have right, easy and authentic details along with full address, contact number, emergency contact number, mobile number and much more. Remove All the Social Media Feeds: Using social media feeds on the website now has turned old. It was executed earlier when the concept of social media was new. Now customers are well aware of techniques to connect brands on social media. Instead, just Place social icons in your footer or sidebar and link to your accounts. If a customer liked your service, he or she will love to contact you through contact number or email ID instead finding you over social media. Interface Sketch: As its name suggests, it provides bountiful PDF templates to match the screen of various mobile devices. Style Tiles: If you want to create multiple mockups and wireframing for clients, this is what you need which enables designers to borrow design concepts from Interior design. Responsive Wireframe: Now that when you have got the sketches and the visual language, it’s time to move to wireframes. If you don’t want to create separate wireframes for multiple screen sizes, this can endow you with emblematic layouts and can create a responsive wireframe for you. Wirefy: If you want to create your own wireframe, Wirefy is just for you. It consists of a very straightforward workflow with a broad collection of atomic components that could easily be moved around and also allows designers to build their functional wireframes with fluid designs. Pure CSS: It’s a very small set of CSS modules which is designed for mobile devices which possess a very minute footprint (total 4.4KB, minified and gzipped), which drops off further if you use only a rift of the modules. Responsive Web CSS: For each section of the page of your website, if you want to create a layout by just adding the div elements, then the setting of the div will depend on how you want it to appear across various devices. Mascaw: It empowers designers to design a website on their own level. It’s a native application that you need to download and install. Redesign website to generate more leads and visitors: The reason why you want to redesign your website is more about business rather than just doing it to meet the taste of your boss as he likes the blue or red layout. So focus more on the results that you want to attain. Your focus must be to redesign website to get more customers and more leads. Inventory Your Assets, Protect Them & Avoid Hazards: There seem to be oodles of the way of redesigning that might be killing your business poorly. Sometimes your existing website is quite familiar with the customers and has a lot of assets. At this stage, if it gets redesigned, it may lose a lot of trust. This asset could be anything ranging from content to keywords, the rank of your website, conversion tools, inbound links, individual pages etc. Spend On Quality Content: Before you focus more on the design on the second attempt, be sure to invest something in its content as well. Get it arranged from the top individuals of the market and see the difference how the content can deliver a lot of trust to customers. The Content is always a king and will always be. Create a Good Content Building Strategy: The more quality content you will have on your website the more customers it will fetch faster. Your 100 pages of the website coming together can’t even beat 10 pages of good content. So make sure to build a stronger strategy to add more and more good content to your website to get better and effective results in terms of earning your customers and making them your repeat clients. Execute Right Conversion Experiments: There are different types of taste and textures that you can follow to get the best of the best customer experience, but ultimately it’s you who have to decide about it. Make sure that you have come up with a professional website with a simple and easy feature which is common to use for consumers and is less hectic. This way you can expect to have more repeat customers on your website generating more revenue. So next time when you are on your way to get your website designed or re-designed, do refer this post to check out the full info and get your work executed with a right and appropriate manner.